The terms Mobile-Friendly and Responsive are used interchangeably by many people, even some of us in the Information Technology industry. Frankly, it’s just easier to tell someone they need a mobile-friendly website, rather than try to explain what “Responsive” means. Some people even think that “responsive website” refers to the responsivity of their customer service or load-times. This article will help you understand the difference between the two, and show you the importance of having a fully Responsive website. 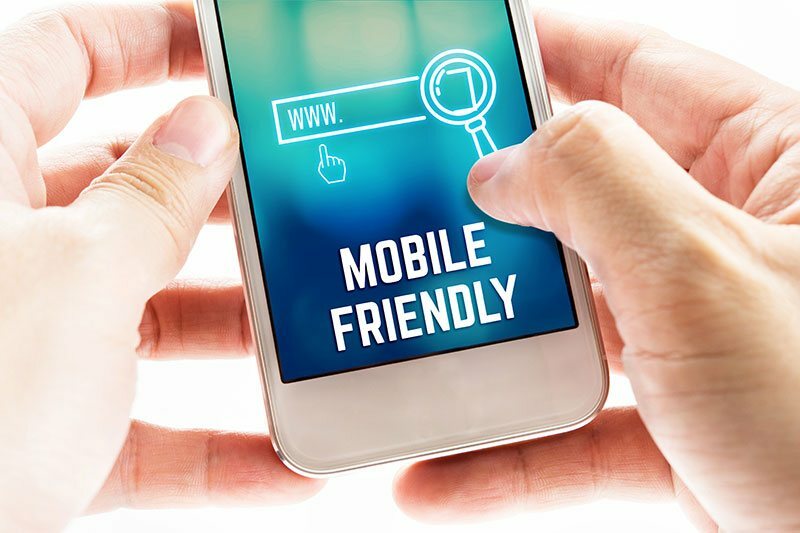 Mobile-friendly is a generic phrase that means a website adjusts in size to fit a user’s screen, whether the user is viewing the site on a mobile-phone, tablet, or desktop. The site functionality remains the same, as does the general layout. This is not a separate mobile-website, it is your main domain served to the clients in a way that adjusts to their screen-size. With mobile-friendly, there is no difference in usability or navigation, and in most cases the user has to zoom in-and-out to view certain areas of the site. Imagine the device as a “Frame” and the website as a “Photo.” That photo will adjust in size and scope to meet the dimensions of the frame, but that photo will not change. Imagine looking at the Mona Lisa on a desktop versus on an iPhone, you would still see the same painting but the quality would be drastically different. The Content and Photos do not change, they stay the same size and shape. Navigation is troublesome, as menus do not change. A user has to zoom, swipe and search for the right menu buttons. Fields and forms are very difficult to fill-out on a mobile-friendly site. Many times, content is overlooked because it is simply too hard to read. Users that are frustrated with a mobile-friendly site will likely move on to the next business’ website. If Google or Bing determines the site to be mobile-friendly, but not “responsive” then it will fall in the rankings. Mobile sites are specifically designed to be a copy of a website, but with less content and simplified navigation. It is a stand-alone site with its own domain that is only served to a user when they are viewing on a mobile-device. The user gets a pleasant experience, but there are still some downfalls of having a mobile-website. The most glaring of which, is that you or your business have to manage two websites, as well as pay for the development, hosting and registration. For example, you would need Widget.com as well as m.widget.com. This was a popular solution just a few years ago, but with the advent of new technology and advances in coding, we can now make Responsive sites that eliminate the need for a separate mobile-site. Must pay for hosting and developing two separate websites. Have to update content and images on two different websites. The domains are weakened and organic search traffic suffers. A mobile-site may need to be tweaked or redeveloped to keep pace with advancements in mobile-devices and smartphones. A Responsive website responds in size, shape and functionality based on the user’s device. It really is as simple as that! The website will look like a “traditional” website when viewed on a desktop, but then when opened in a smaller window the website will adjust. The elements of the website literally rearrange and regroup so as to display on any screen size. Three-column websites will adjust to a single-column, menu’s will minimize into “hamburger” menus (three horizontal bars that resemble a hamburger, and will open a menu when clicked), and images will adjust in size without losing any of their clarity. Put simply, a responsive website adjusts in size and function to give the user the best experience possible, no matter their device. Condensed navigation that is easy and intuitive. Images and content change in size but stay high-quality. Forward-compatibility means that the Responsive website will adjust to smartphones that are not even on the market yet. Search Engines like Google and Bing prefer Responsive websites (mobile-first indexing is now the norm at Google). To stay relevant with search engines, and to give user’s a pleasant online experience, choose a Responsive website design. IT will keep customers coming back now and in the future, even if they buy the latest smartphone that is just around the corner.